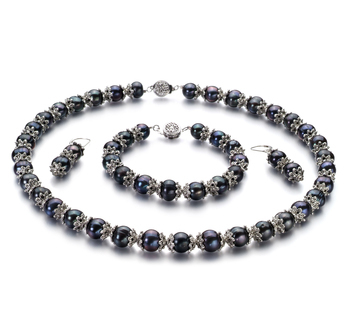 Wear your black Freshwater pearl set as a dark accent if you are someone who likes to wear bold patterns or softer colors, such as pinks and creams. 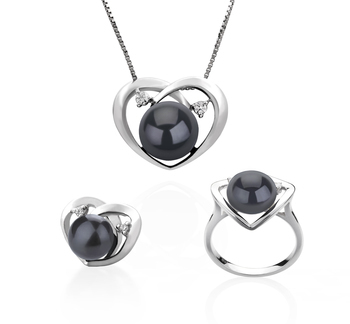 The simplicity of our black Freshwater pearl set designs means that they will go with a wide variety of different outfits. If you intend to wear your set to a more formal event then team them with a little black dress. 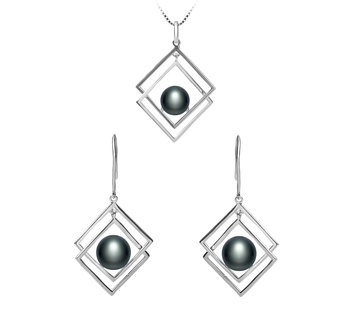 You don’t have to wear the whole Black freshwater pearl set; you could just wear the earrings only. If you have long hair then make sure to put it up so that you can show off your beautiful black Freshwater pearl earrings. 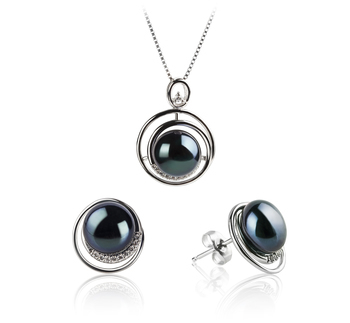 For an evening out with your best friends why not pair your black Freshwater pearl jewellery set with a shiny metallic top or dress. Best if you stick to one color as this will help to accentuate the beauty of the pearls even more. 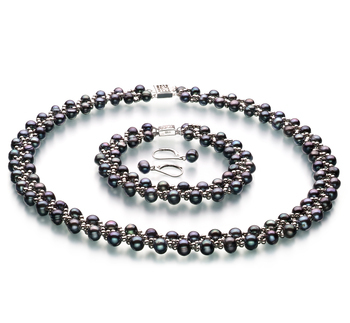 Why not think about layering your black Freshwater pearls over dark clothing. When this is pulled off properly the gothic look becomes more demure and sophisticated. But try to keep the amount of black make-up you wear to a minimum. Sometimes less is more when you are going for this kind of look. 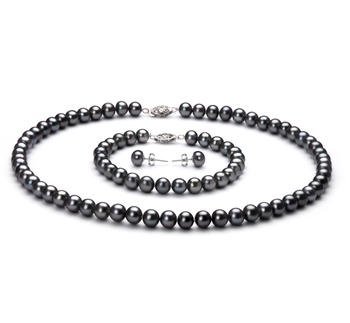 A great way of being able to wear your black Freshwater pearl set during the day is to team it with some nice jeans, a white t-shirt, and a pair of sneakers or ballet pumps. The white of the t-shirt will help the luster of these beautiful pearls stand out even more. 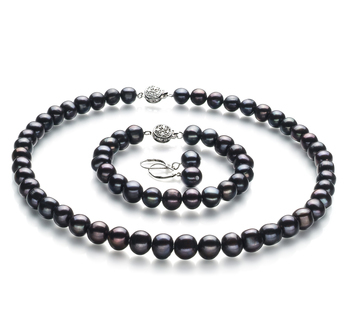 Although most women are afraid of wearing a set of black pearls they shouldn’t be, as they come in a wide array of different colors. 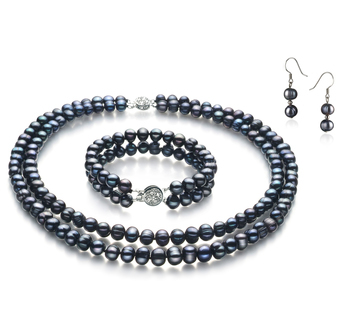 So being able to a black Freshwater pearl set that will suit any woman’s complexion shouldn’t prove that difficult. Just make sure that you think about the metal used in the creation of the set. 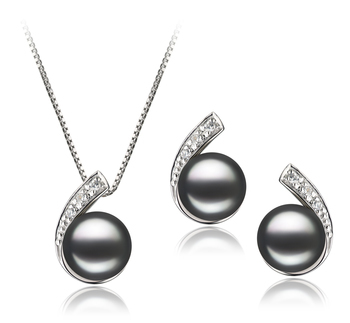 If you have a pale complexion then go for a black Freshwater pearl set where yellow gold has been used. However, if you have quite a warm complexion then you may find a set with silver or white gold accents suits you better.